Accordingly, the amount of Rs. 4000/- appearing in this Department's OM dated 09.07.2009 is revised as Rs. 15000/-(Rupees Fifteen Thousand). 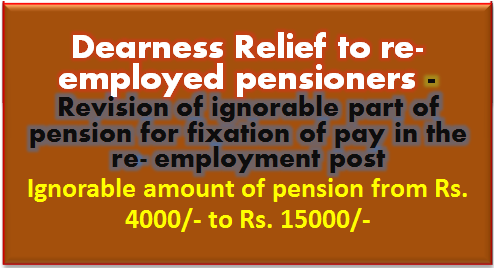 The other conditions for grant of dearness relief in OM dated 02.07.1999 remain the same.